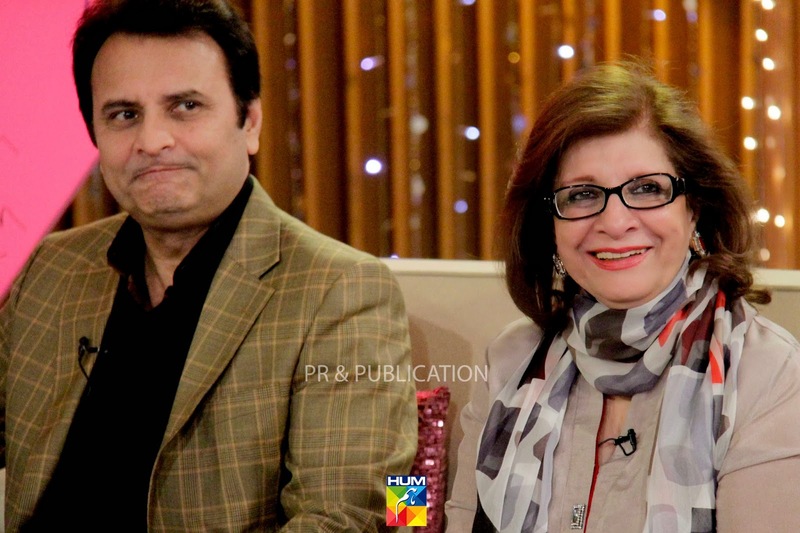 Karachi, January 18, 2014: Pakistan’s premier entertainment network, HUM Network Ltd., celebrated its establishment and nine years of success by organizing a star-studded celebration day comprising a live ‘telebration’ and a cake cutting event at its studio. 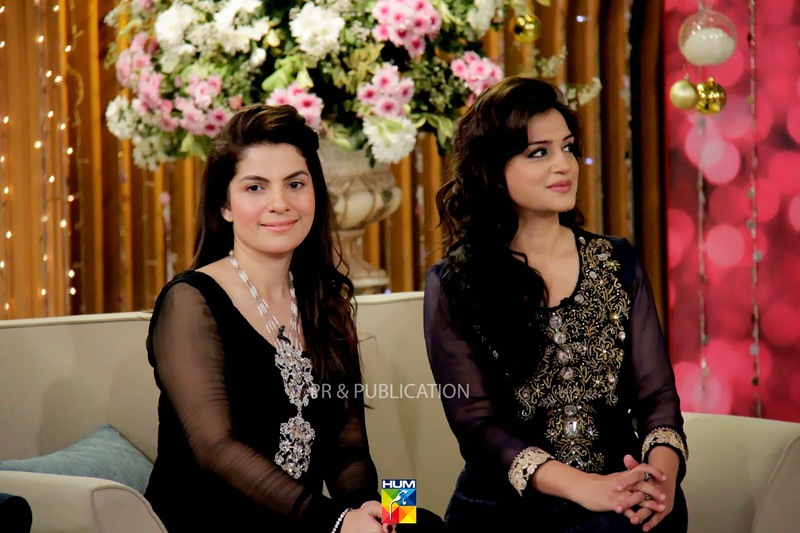 Prominent super stars of Pakistan associated with HUM Network over the past nine years, were part of this celebration to show their support towards the network. The office building was decorated with colorful balloons in blue, purple and turquoise that were complimented with fairy lights and a red carpet that was spread out to welcome the employees. The celebrations started with the gathering of network employees and celebrity guests, outside the office building, where the senior management appreciated and thanked every employee for their dedication towards the network. 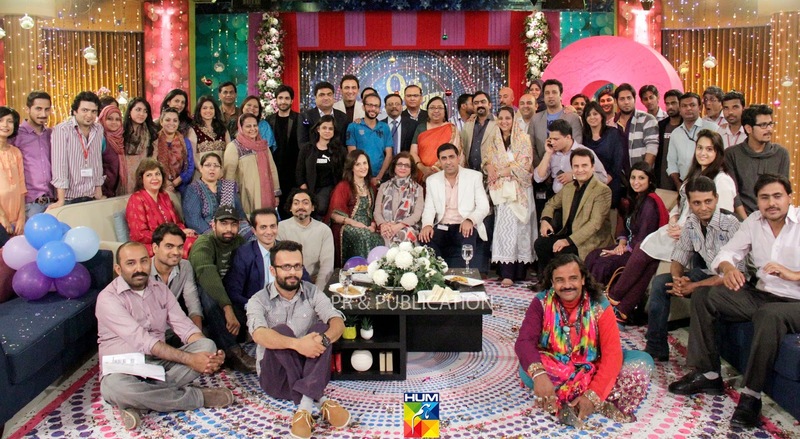 The live streaming of guests at HUM studios included Atiqa Odho, Humayun Saeed, Nadia Hussain, Rabya Chaudhry, Khaled Anem, Hina Tareen, Angeline Malik, Alia Imam, who shared light moments. 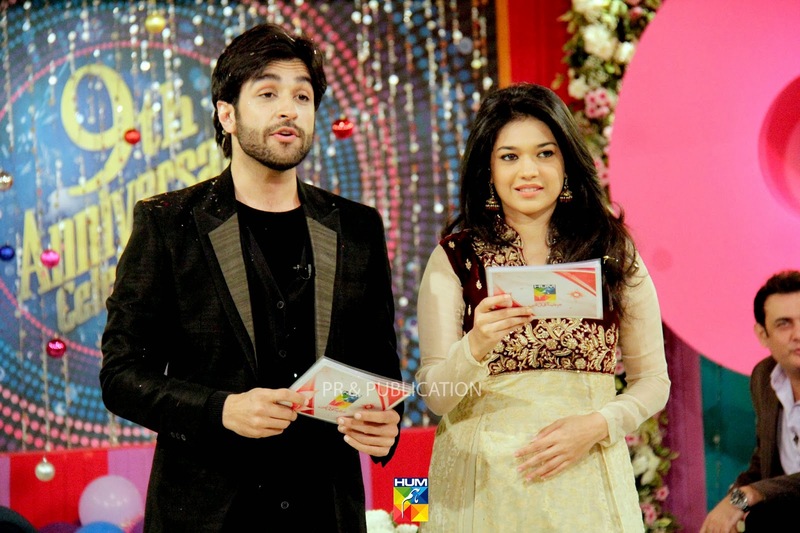 The host of the evening, Azfar Rehman and Sanam Jung/ Mehwish Hayat shared HUM’s milestones in the entertainment industry of Pakistan. 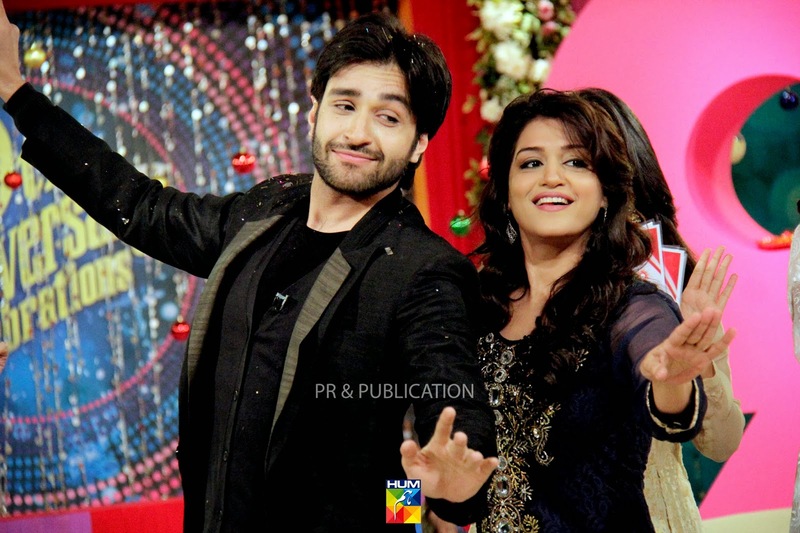 HUM also arranged a live telecast of the whole show for its strong following of viewers across the globe. 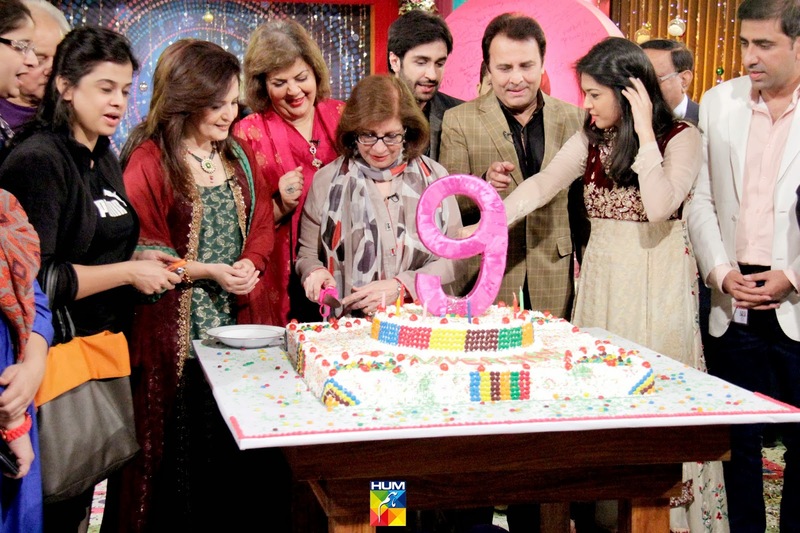 For the 9th anniversary of HUM TV a whopping 50-pound cake was made to celebrate this magnificent event. 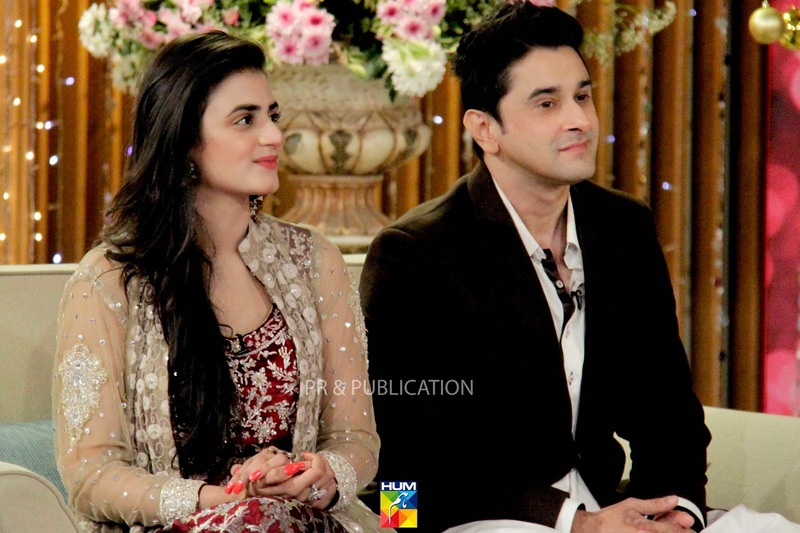 The HUM extravaganza came to an end with the cake-cutting ceremony for which all the heads and management of the network as well as celebrities were present.